Among our most popular projects is our Global listing of all the GROUPS and SERVICES we can find in the English-speaking world. These living lists, updated daily, are maintained by a NAASCA volunteer in London, England. We provide her email address at the top of each page and ask you, the community member, to inform her if you find anything that needs to be added, corrected or updated. 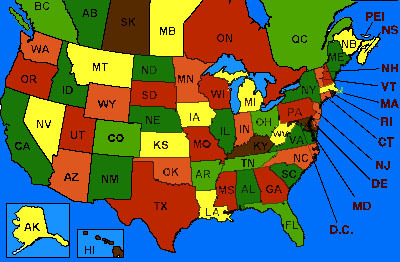 If you can’t find an appropriate recovery group near you, please consider starting one yourself. At the bottom of this same web page we provide info about three separate organizations that are seeking facilitators or leaders who are willing to volunteer to set up new meetings under their programs. But NAASCA does so much more ..
I’m quite proud of the well over 2 dozen FREE programs and services the unfunded grassroots National Association of Adult Survivors of Child Abuse (NAASCA) organization offers the global community that’s fighting against child abuse and trauma. These projects are all the result of hard-working volunteers and paid for out of their own pockets. A description of many of these programs / services can be found listed near the bottom of the HIGHLIGHTS page on the NAASCA website. 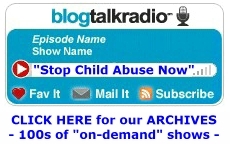 Many of us speak out during appearances as “special guests” on our Internet-based, six-night-a-week “Stop Child Abuse Now” (SCAN) talk radio show (all but Saturday nights, and always at 8pm EST). Others participate by calling in .. sharing .. or by using our always present chat room. All shows are recorded and many are available in our Recommended Show Archives for later “on-demand” listening. Have you listened? Have you appeared? We need to break the silence. I hope you’ll decide you want to be a part of this, and if so .. Welcome to the NAASCA family !